What is a Shadow Shifter? 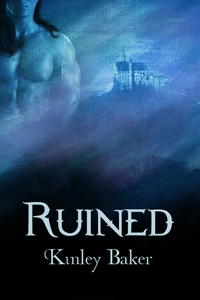 RUINED takes place in the Realm of Shadows, a mystical land where the Shadow Shifters’ Ancestor gods watch over them. The Shadow Shifters use the shadows of their Ancestor gods to shift at lightning speeds. They can’t shift during broad daylight without the shadow of trees, or other large objects. Their power is not without limits. But I love the idea of being swept away by magic, literally, into darkness that allows the Shadow Shifters to travel at fast speeds. I’d love to have the ability to shift through shadows. What super ability would you have if you could have any power you wanted? She released a pent-up breath. “Why couldn’t you have explained that instead of mandating?” Silly. Her imagination had run away with her. The king needed his Healer. But the realization he didn’t want her made her angrier. “Loathe you.” She bunched her fingers into two fists, seriously tempted to hit him. For all the nonexistent pain it would inflict upon him. “I can’t stop thinking about you.” His murmur played down her spine, leaving a tingling trail. His scent invaded her. His voice embraced her like bare skin against satin sheets. She disliked him, but didn’t want him to let her go. “Have you been thinking about me?” His soft tone feathered over her flesh. “Only how much I dislike you.” Lust pulsed in her belly. Thank you for allowing me to visit your blog today, Sarah! :-) I'm happy to answer any questions. Thanks for visiting, Cathy! I'm glad you like the premise and excerpt! Thanks for guest blogging with me today, Kinley! !